Condition: Excellent condition, in a giltwood frame with a green inner section. A few chips to the corners. 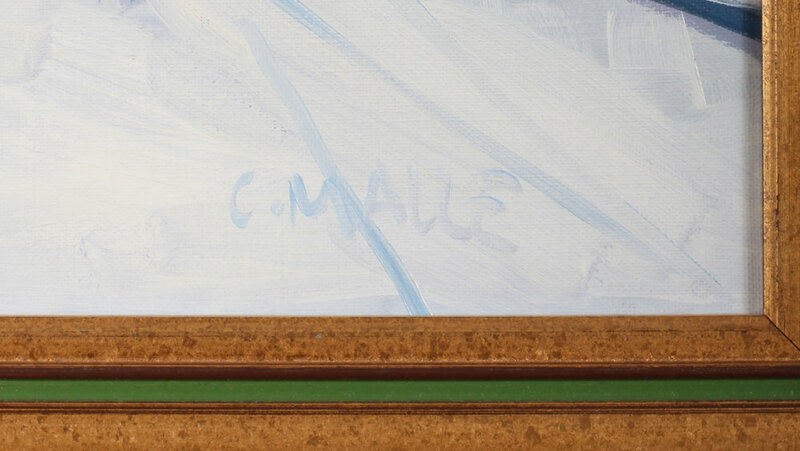 Charles Malle is a post impressionist painter who took up art after his father's death. Many of his subjects relate to a bygone age that he cherishes from his childhood. His use of bold brushstrokes and vibrant colour are evident in this composition. Works by this artist are increasingly sort after having achieved some very high prices at Christie's recently. This is a very good investment for the future.